الخيار الأفضل للحصول على المتعة والاسترخاء, Moorings Hotel يقع في منطقة Villa Bay في بورت فيلا. يقع مركز المدينة المثير على بعد 1km فقط. كما يمكن الوصول بسهولة إلى ‪Cathedral of Port Vila‬, صقر كور كاذدرل, و مموريال. كما يقدم Moorings Hotel الكثير من الخدمات لإغناء رحلتك في بورت فيلا. تتضمن الميزات الرئيسية في هذا الفندق: أمن على مدار 24 ساعة, خدمة التنظيف يوميًا, خدمات بريدية, خدمة سيارات الأجرة, مكتب الاستقبال على مدار الساعة. تنعكس أجواء Moorings Hotel في غرف الضيوف.تلفزيون بشاشة مسطحة, اتصال لاسلكي بالإنترنت, غرف لغير المدخنين, مكيف هواء, خدمة الإيقاظ هي بعض الميزات الموجود في العديد من الغرف. يقدم الفندق العديد من الفرص للاستجمام كمثل كنو, السهام المريشة, تأجير معدات الرياضات المائية, الغوص السطحي, شاطئ خاص. مهما كانت أسبابك لزيارة بورت فيلا، فإن Moorings Hotel هو الخيار الأفضل لإقامة مثيرة وممتعة. العقار يطلب مبلغ تأمين مسترجع بقيمة 10000VT عند تسجيل الدخول. Lovely clean room, excellent staff, great location, will definitely stay again. Nice outlook to the ocean,good value meals and drinks . Clean rooms and friendly, helpful staff. Very friendly staff and good value. Nice outside deck to enjoy the views. We stayed 1 night only as we had a plane to catch the day after. Great spot on waterfront and easy walk into town. Very friendly and helpful staff. Lovely staff and friendly atmosphere. Beautiful places to sit next to the Ocean. Good daily room service. Poor WIFI speed and reliability. good location, but only wifi in lobby. Perfect waterfront location, with lovely outdoor dining area, bar and swimming pool to relax , unwind and enjoy the view. The continental breakfast of tropical fruit, cereal, toast + spreads, cakes and pancakes, is included in the price, and is a lovely way to start the day. 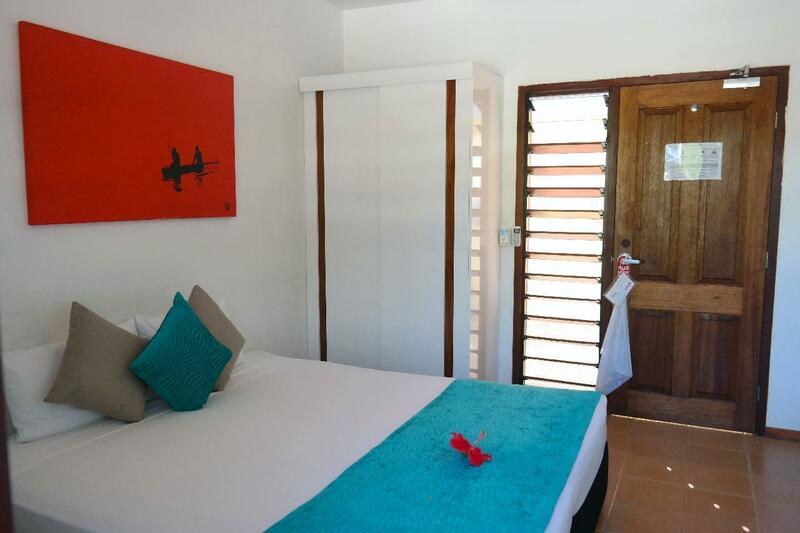 The hotel rooms are neat, clean and compact, and are ideal for those who are out and about during the day, and want a relaxed, friendly place to stay, just a short walk along the waterfront to town. 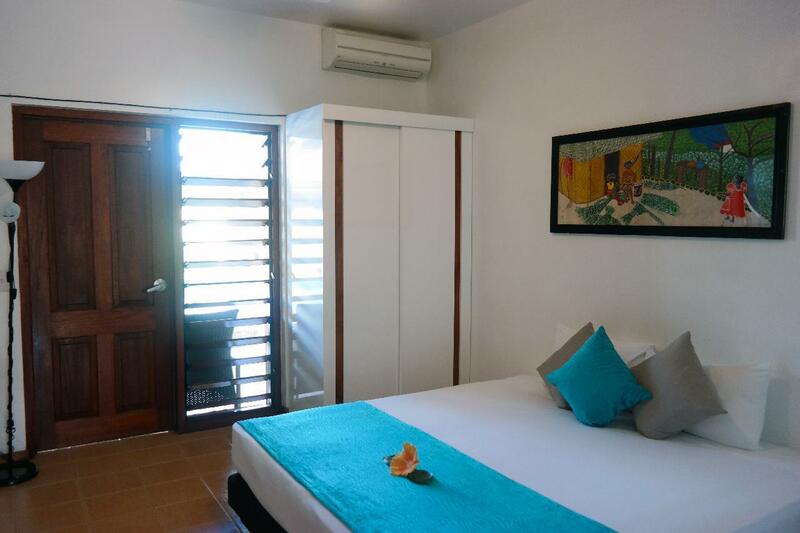 Prices of accommodation in Vanuatu are generally quite expensive, and the room prices fluctuate a lot from week to week, so it pays to shop around for a reasonable deal. We used the Moorings as an overnight option after our holiday on an outer island. The staff were friendly and helpful and offered fantastic service. This property is close to the airport and offers excellent value for money. Everything is great, but the food is not as good as the outside restaurant, and the pub which beside this hotel plays very loud music until midnight, hard to sleep before that. très bruyant, chambre très petite, personnel très froid, cuisine plus que médiocre pour le prix. The only negatives comment is wifi poor hard to get , drops in and out. Test was fabulous. None of the facilities mentioned on the website are included. 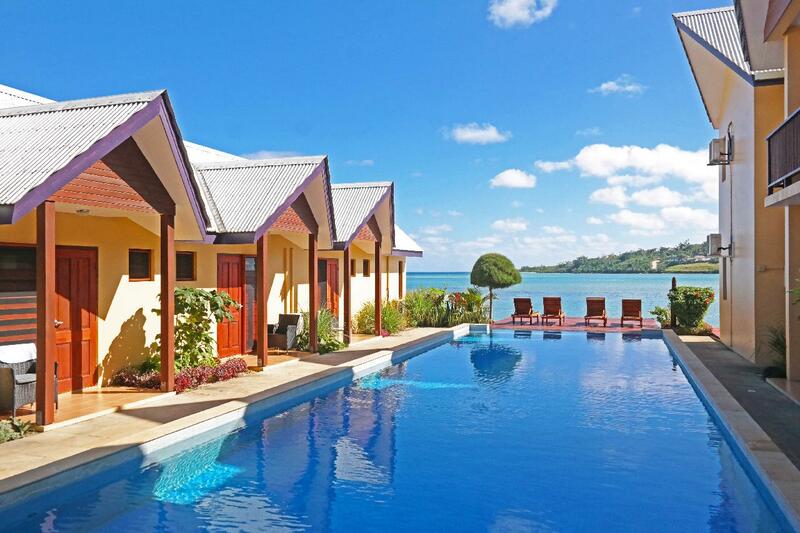 They have no snorkeling equipment, kayaks and paddle boards are rented at 500 Vatu per hour. The rooms have no chairs or desks. The mini fridge was not even on when i was given the room and was empty. The rooms have 2 doors and louvered windows beside them. The louvers except for the top 2 are solid wood thus there is no view. The hotel was being renovated and thus the pool and ocean front were out of bounds. A barrier was erected at the oceans end of the pool to block access to the construction area and thus the view of chain wire fence with black poly plastic. The tv in the room is mounted on the wall above the door way to the toilet making it unaccessible to plug in your own equipment. Additionally the viewing angle of the tv made for a poor picture. But of greater concern was the power lead which was extended by splicing the cable and just using insulation tape to cover the splice (this is a major electrical safety hazard). There was a small table on one side of the bed but no lamps so you need to get out of bed to turn out the ceiling light. Dear Marcel, Thank you for your review. We are sorry to hear of your disappointment, and we will take this opportunity to address your concerns. 1) Watersports are available but not free, as promised. 2) Rooms indeed have no chairs or desks, as promised. 3) Minibar fridge is off to be environmentally friendly, and empty because 'fridge' as a feature, not 'minibar'. 4) Louvres do open to provide a great view yet privacy. 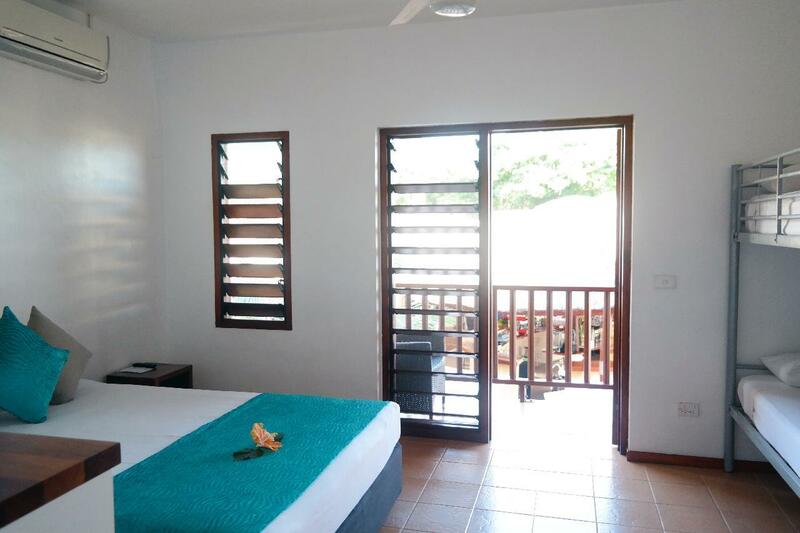 5) Renovations were advised at time of booking. 6) The barrier was erected for your safety and security first. 7) The rooms are small and the TV is mounted strategically in front of the beed. Not for private equipment use in mind. 8) The extension lead for the TV was secured by an electrician years ago, and none have ever had an issue. We are all safe. 9) There is a HUGE double feature LED lamp for lighting and reading. Bought for that specific purpose. Thank you again for your comments. Objectively we feel a budget hotel may not meet your future needs. 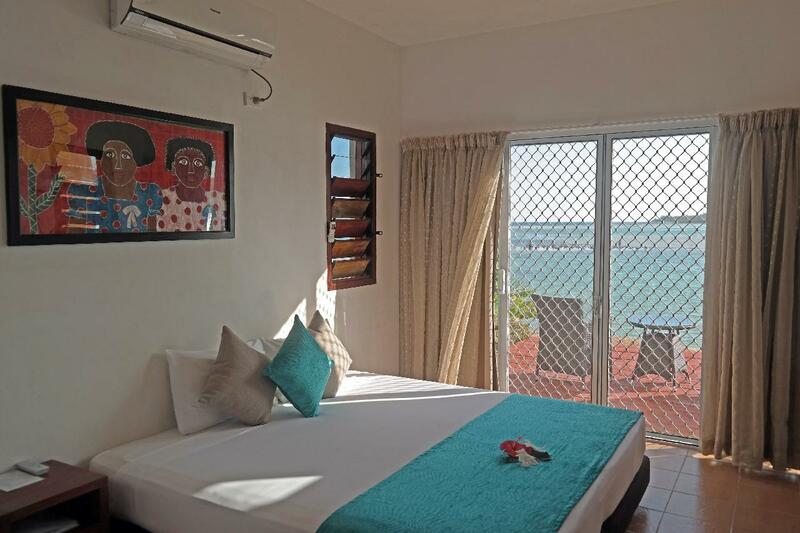 Good quality, convenient location, short walk to Port Vila CBD. Fantastic pool and dining area, menu offering extensive variety. Rooms are small and basic but clean with everything you need. Only downside was that the bed was quite uncomfortable, and loud music from next door until around 11pm. Otherwise good.